My thoughts on GANG PARADE’s re-recording of a “classic”. So we’re still meandering our way through what has been an incredibly slow period for new releases. It’s like that at the start of most years so at least I still have a few things in the tank to tide us over until things start to pick up later in February. You’re also going to get a super sappy “1 Year Anniversary” post out of me later in the week so there’s also that to look forward to. Thanks for hanging in there with me, even if these reviews are for stuff that’s probably getting pretty stale at this point. Better to have some content than no content at all though, right? 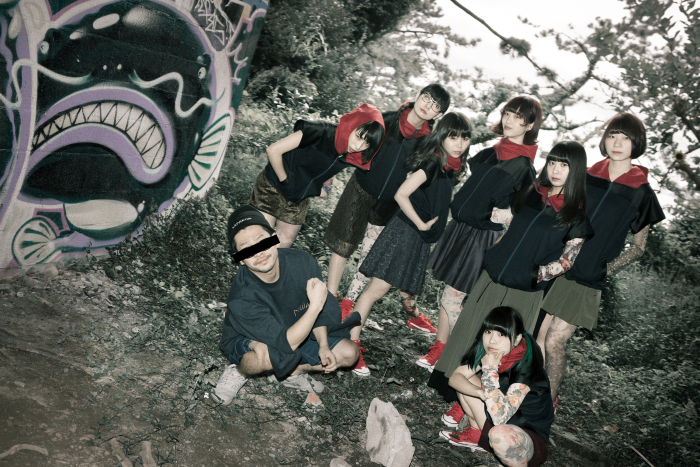 GANG PARADE are a pretty interesting group to me but perhaps not for the best of reasons. I see a lot of people talk about how much they love the members (Coco in particular actually) but I don’t really see too much love for the music side of things. A lot of people I know didn’t have too many nice things to say about their recent album “Barely Last” but I thought it was pretty good personally. You can check out my review of it for some more detailed thoughts if you have the time. That said, they definitely feel like the least popular group under the WACK banner, at least in the circles I run in. So this single just kind of came out of nowhere at the end of 2016. It’s basically a re-recording of “Plastic 2 Mercy” with a b-side thrown in for good measure. It was actually announced at the one-man live I went to so that’s an interesting little fact/brag for you all. I believe the only way to get a physical copy was to buy it at a Tower Records in Japan but GANG PARADE were nice enough to put the songs up online so you can listen to them for free. I’m definitely a fan of groups using sites like SoundCloud to share their material and hope more follow WACK’s example. Let’s get into the review. 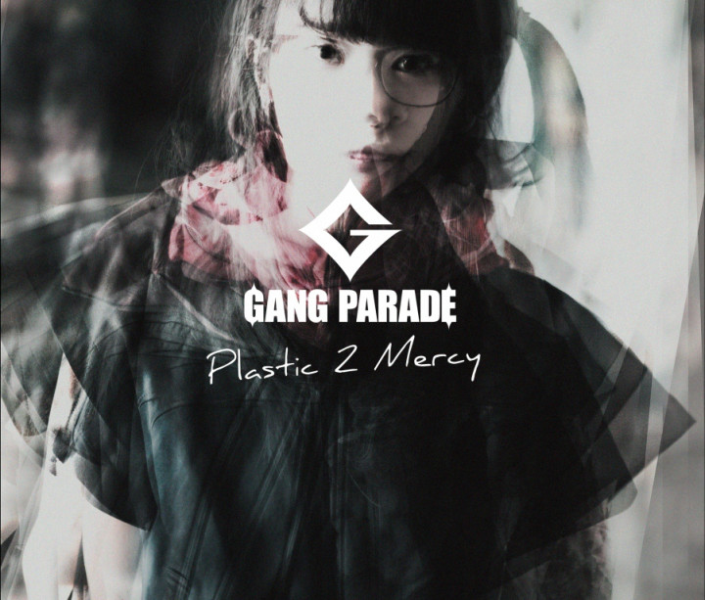 So let’s start with “Plastic 2 Mercy”, which a lot of people are saying GANG PARADE have stolen from Pla2me or “How dare they cover this song”, etc. Uh guys, you do know that GANG PARADE is literally the spiritual successor to Pla2me right? Like, after Mizuta Mari left the original project they auditioned for new members and renamed it POP and then eventually GANG PARADE. They’re basically “covering” their own song, or it’s like when BiS/BiSH add new members and re-record old material. This isn’t really relevant to the review but I thought it was worth clearing up. History lesson aside, there’s not really a whole lot to talk about with this new version of “Plastic 2 Mercy”. They definitely didn’t try to reinvent the wheel, that’s for sure although they did tweak a few things here and there. I guess the biggest difference would obviously be that there’s more people singing on this version of the song, which definitely gives it another dimension that it didn’t have previously. I was a pretty big fan of the original song, as I know a lot of people were and I honestly think this iteration is just as good so thumbs up from me. I guess the b-side is probably where most of the interest lies in this single. That’s sort of how I feel anyway, because I wasn’t really expecting anything too crazy from a re-recording of “Plastic 2 Mercy”. So we have “WINTER SONG” which I guess is pretty appropriately titled given the time of year. I suppose before listening to it I was expecting it to have some kind of wintery feel to it and the opening instrumental definitely did a pretty good job of painting that scene. It definitely didn’t sound like a GANG PARADE song either, so maybe that’s a plus for some of you. So the song is pretty slow and low on energy, in fact I’d say it’s verging on being a ballad if not for some aspects of the instrumental like the fairly prominent drumming. The vocal performance is definitely solid and it does a good job of showcasing everyone’s talents in that department so that’s great. I don’t know if the song is all that memorable though, although that could just be me but there wasn’t really anything in there that I felt stood out in any real way. It’s a nice little song though and it’s definitely not something you see GANG PARADE pull out that often so there is a novelty factor there too. You know, for what is essentially a re-recorded single with a limited release that just sort of got floated out there without much fanfare and hot on the heels of a heavily promoted album, this is pretty good. They definitely didn’t screw up the re-recorded “Plastic 2 Mercy” and if anything it might even have been a little too safe/lazy. The b-side, although it wasn’t really for me is still a pleasant song that unfortunately probably isn’t going to get as much exposure as it likely deserves but that’s life I guess. We’re pretty much in February now and GANG PARADE have recently announced a new single that’s slated for release in late April. It’s going to be the first “proper” one with all of the new members so I’m sure that’ll be fun and interesting. The group could really do with establishing more of an identity and direction so hopefully they get to build on that over the course of the year without any further setbacks on the personnel front. That’d be nice.